Situated on the south coast of England, Torquay is a seaside town in Devon. With a population of around 65,000, there is a wide range of property in the area to suit a variety of budgets. At My Home Move Conveyancing we have been developing our knowledge and expertise of local markets since 2002, allowing us to bring our clients in Torquay a specialist, fixed fee conveyancing service. If you are thinking of buying or selling property in Torquay, you’ll need to instruct a lawyer to carry out the legal work on your behalf. 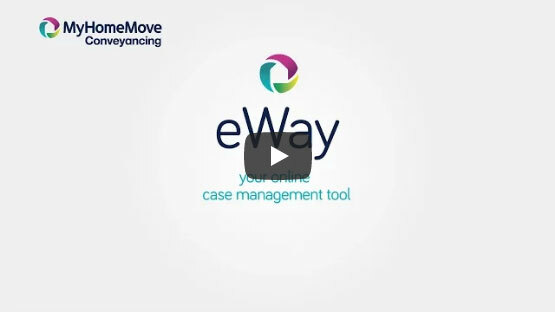 My Home Move Conveyancing offer award winning customer service, innovative use of technology and intimate knowledge and expertise of the local market. Our fixed fee conveyancing service includes no hidden extra costs, meaning that you’ll know exactly how much you’ll be paying from the outset with us as your Torquay conveyancers. If you don’t end up moving, you won’t need to pay us anything. All of our clients are assigned a dedicated conveyancer, who will act on your behalf throughout your case, providing you with a consistent point of contact and regular updates of the progress. At My Home Move Conveyancing we provide our conveyancing services in Torquay to customers looking for a range of properties, including homes close to Meadfoot Sea Road with great waterfront access, and spots around Upton Hill and Lymington Road. The average house price in Devon is £204,869, while during the past 12 months in Torquay the overall average sale price was very similar to this at £206,024. Flats and terraced properties sold in similarly high numbers, fetching an average of £151,199 and £170,918 respectively. Detached properties went for £366,267, and semis for £216,006. Torquay’s fishing and agricultural industries were the foundation of the early town, although it rose to prominence as a seaside resort in the early part of the 19th century, with the area gaining the nickname the ‘English Riviera’. Torquay retains its value as a tourist draw, while it is also a great spot to live for those after a pleasant coastal spot to settle in. The array of good schools in the area will certainly entice families with younger children, with options at primary level including Ilsham CofE, Shiphay Learning Academy and St Margaret’s Academy. Torquay’s grammar schools for boys and for girls, Westlands School and St Cuthbert Mayne on Trumlands Road are among the secondary choices. Being on the southwest coast of England means transport links in Torquay aren't exactly stellar, although it does offer a great location for exploring other parts of the region, such as Dartmouth which can be reached via the A379. The A380 connects Torquay to the national motorway network, while there are trains to Exeter that take around half an hour. All properties in Torquay will fall within one of the following council tax bands.